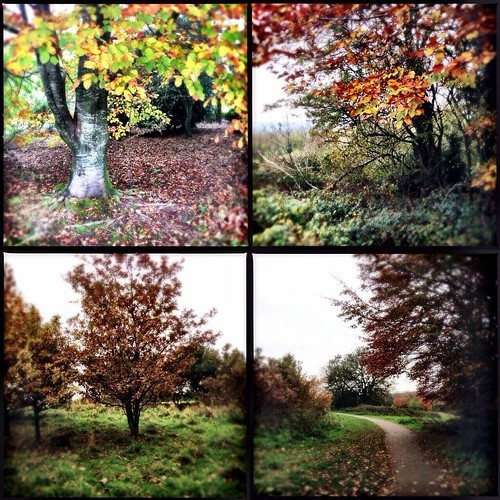 As I said in last years Autumn Walk post, I love Autumn for the colours and changing leaves. It seemed appropriate to take our Autumn walk this weekend as a lot is changing in our little world. On Monday C returns to work full time and M goes off to Nursery. We wanted to make the most of our family time, so we did what we do best, ran around like crazy people whilst I took photos. I love seeing M and C interact, they really are the best of friends. Their shared smiles and little giggles always fill my heart with so much love. I know the next few weeks are going to be super tough for C, as she’s spent 15 and a half months with our little man, but I’m so proud of her confidence in returning to work. The changes we’ve seen in M since last year, are mind blowing. Last year when walking round the park talking about the leaves, he just cooed. This year our little man points, babbles and laughs at dogs passing by. We’ve even got wellies so we can go crunching through the leaves and jumping in muddy puddles. It’s so exciting to think about our walk next year, or maybe M will be scootering round the park. What a cutie, he’ll be climbing trees before you know it! Gorgeous pictures! M is such a cutie and you have some lovely parks near you for autumn exploring. M is gorgeous and the autumnal photos are lovely. Glad to hear you’ve all got some wellies – ideal for leaf kicking and puddle splashing all of which will be fun for everyone. 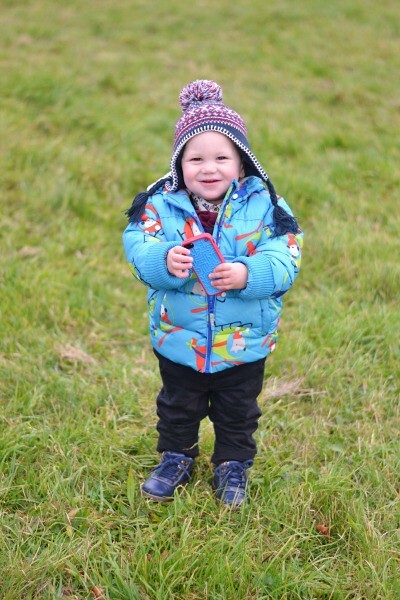 Thanks for linking up and sharing with Country Kids and good luck with the return to work. Gorgeous photos and so lovely to hear how M is growing. Wishing C the best of luck with work! 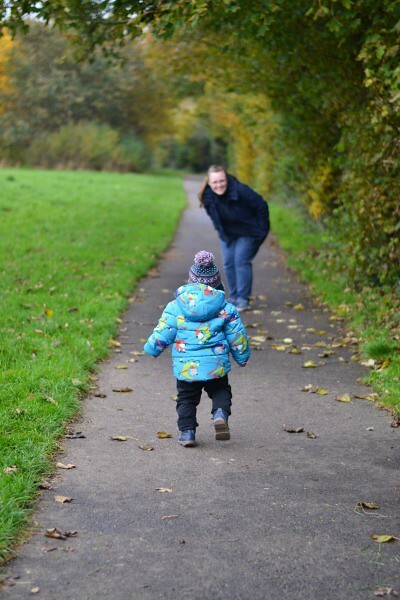 We bought wellies when we started taking The Boy out for walks as well, it has opened our eyes to the marvels of the world around us and instead of nipping into Cardiff on the weekend, we explore nature instead. He looks like he’s really enjoying the walk and chasing towards mummy. Hope returning to work goes ok, with you to support her I’m sure she’ll adjust and build a routine soon enough (big hugs just in case of potential tears though). I can just imagine his big beaming smile as he is running towards Clara. It’s a gorgeous photo. That first picture is really a “kodak” moment. I hope all went well with Clara returning to work. Family time definitely becomes more precious!